Dan Sherman served with the US Air Force for twelve years (1982-1994), and received a number of awards including the Commendation Medal and the Achievement Medal. He revealed that he was recruited into a classified program, “Project Preserve Destiny” (PPD), that was conducted under the auspices of the National Security Agency (NSA). 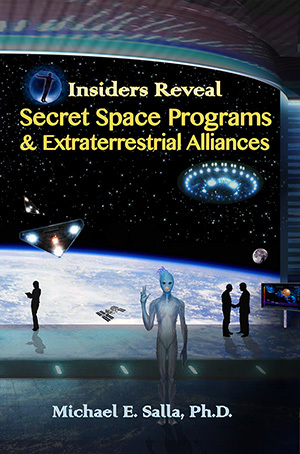 The training was for Sherman to become an “intuitive communicator” with extraterrestrial biological entities (EBEs). 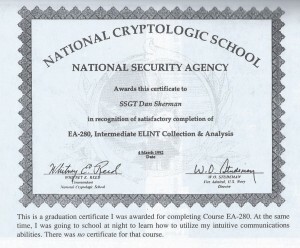 Essentially, Sherman would learn to telepathically interface with EBEs and pass on this information through a secure computer system to his handlers within the NSA. 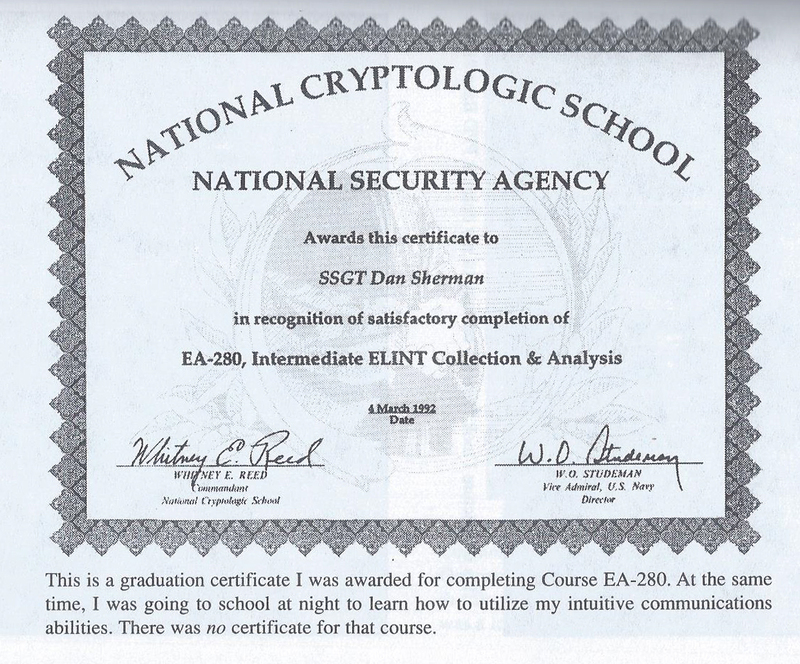 Sherman’s training for PPD was conducted at the same time while training for a conventional military career in electronic intelligence (ELINT), which itself was classified. 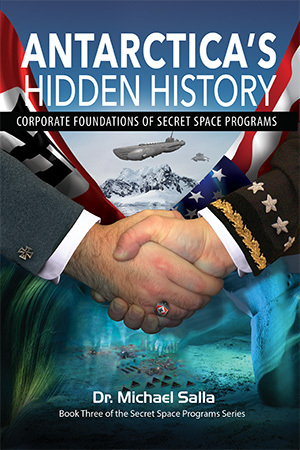 After officially retiring from the USAF and ending his classified work with the NSA, Dan Sherman went public with his 1998 book in which he supplied documentation of his training and work with the NSA as an electronic intelligence specialist. Sherman’s claim made 16 years ago that he worked in a highly classified (“above black”) program hidden within a less classified NSA “black” program has not been corroborated until now with the leaked Snowden documents. 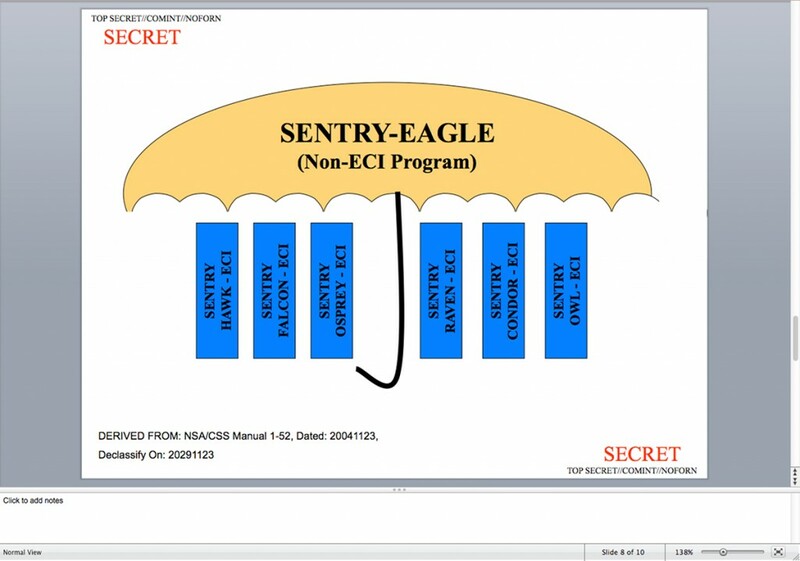 Sherman’s claims suggest that within one or more of the NSA’s Sentry Eagle six compartments, there are ongoing alien (extraterrestrial) projects that are hidden within less classified NSA cover programs. ← Is a UFO monitoring astronauts during ISS space walk?